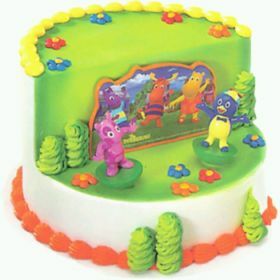 Some of the favorite characters for the children are undoubtedly the Backyardigans, 5 cute characters who live imaginary adventures in the backyard of their houses, and if your cocky is a fan of these animated friends, why don't give them a party whose reason for decoration is some or all of these characters? 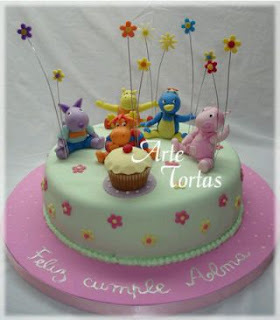 If you've already decided that the theme of decoration birthday party your child is this, then we bring models cakes with these characters, remember that one factor that determines the success of the decoration of a birthday is the cake. 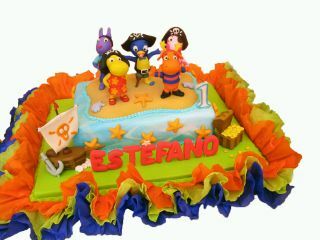 Recalling one of the chapters of the animated series, here's a Backyardigans pirates cake . 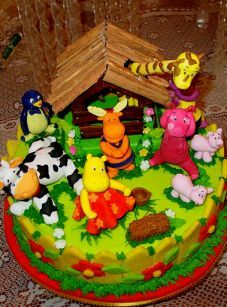 In this second model, you have the Backyardigans surrounded by animals, remember that in all the models you decide if you will use every character or one in particular. 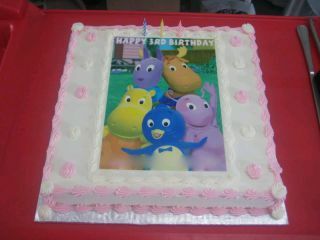 Choice of cake, you have two characters in 3D in the front, while the other three are attached to the wall of cake. 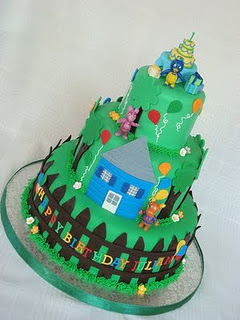 If your party will have lots of guests, or just want to impress everyone with cake, this is indicated. 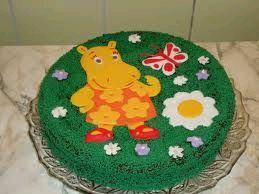 On the other hand, this is a fairly simple cake, but very nice. 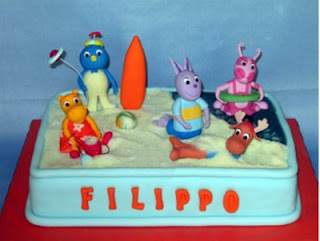 Pretty cak proposed that re-creates a pool of colored dots in which the characters are immersed. 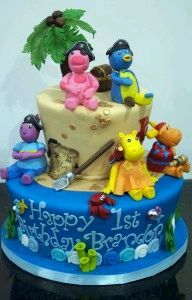 Another cake proposal, Backyardigans pirate, as you note, are the complementary elements that give a special touch to the cake. But if you prefer an adventure on the beach, this is the model above, you may notice that even one of the characters are covered with "sand"
You also have the option of choosing cakes decorated like the one we present below. Finally, this is a different proposal, but just as tender and beautiful. 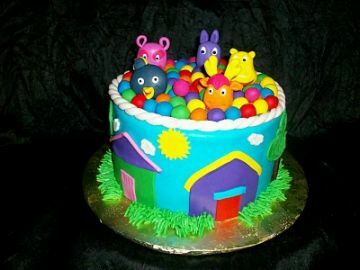 I hope you enjoyed these cakes.